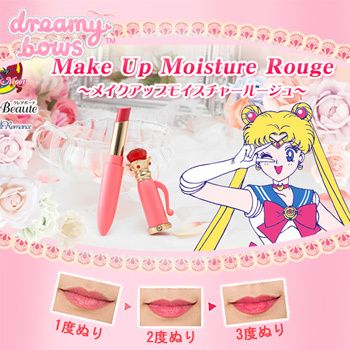 This is the second coloured makeup released from Creer Beaute's beautiful "Miracle Romance" range of Sailor Moon cosmetics. 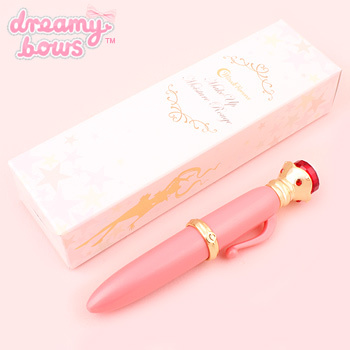 It is a stunning, limited edition replica of Usagi's Disguise Pen as a lovely pink lipstick. 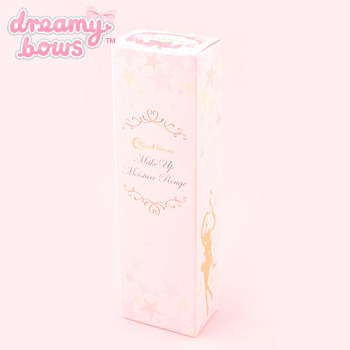 The cap on the Make Up Moisture Rouge comes off to reveal a gold barrel which you can twist to reveal the lipstick. The formula is made with moisturising ingredients such as hyaluronic acid, shea butter, hydrolyzed conchiolin (pearl extract) and grapefruit extract and has a natural pink finish that you can build up to create a deeper shade. The box is gorgeous and features metallic foil silhouettes of Sailor Moon and Luna.